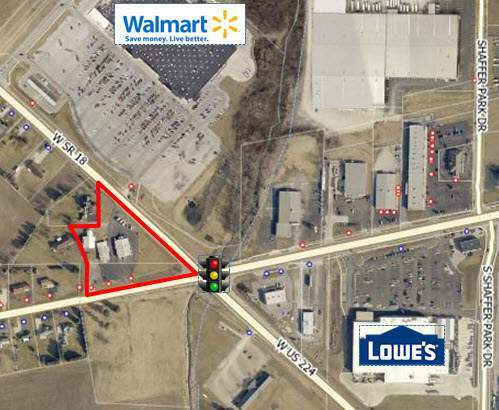 3.102 acres of commercial land on a signalized corner with 11,890 sq. ft. of retail space. 560 LF of frontage on SR 18 and 458 LF on US 224. The intersection of SR 18 & US 224 is highly trafficked and visible intersection in the Path of Progress. Property is in Hopewell Township, Seneca County and could be annexed to the adjacent City of Tiffin. Water and sewer service at site.